We got a chance to sit down with Michael Shaikin, the man behind The Modern Shop. Known as the place to go for fine modern lighting, furniture, and goods, from the best brands across the globe. Walk inside (or browse online) and you'll remember exactly what it felt like as a kid on Christmas Morning. Can you describe The Modern Shop? How did Modern Shop start? I had a store that sold vintage furniture called Found Design. Then wanted a change and I started a new store called Modern Lighting. People kept asking for other things inside the home, so after three or four months changed the name to Modern Shop. Then moved locations from Bank St. in Old Ottawa South, to Sussex Drive in the Byward Market? Yes, well we were not getting the foot traffic we wanted, so moved to Sussex and George in Spring 2013 and love it. What are some of the brands that you currently carry? 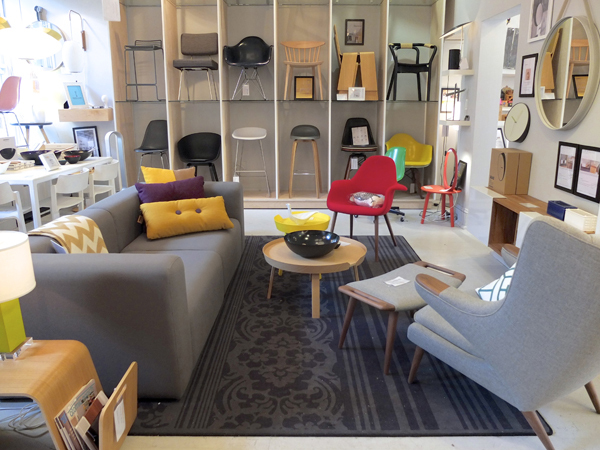 There are over 80 brands that we sell now, and some that are more familiar would be Moooi, Modernica, Norman Copenhagen, Hay Denmark, Foscarini, Muuto, and it goes on. How do you keep finding new and unique things for the shop? Well we travel quite a bit, especially for trade shows, was in Stockholm two years ago, Milan last year, Paris this year, plus New York City every year. This gives me the ability to see the up and coming guys that no one gets to really see, then you start to get a feeling for who is going to make it or not. I also will grab brands that no one has heard of, some of them are a hit, some are a miss. What is your favorite product that you carry? You are also pretty big online, how has that been received? Its crazy. It is like 75 percent of the business now. We sell across Canada and all around the world. We are able to showcase great unique products that are hard to find, and then offer them shipped right to your door. Any big names, or recent projects? Won’t mention celebrities, however In Ottawa we recently were involved with the new Shopify offices, the lighting at Fauna restaurant, and did the Zendesk offices in California. Those were all fun. Some people call Ottawa dull or boring, thoughts? Not at all. Just look at all the events and restaurants that have opened. It is certainly not what is was a few years ago, the city is moving forward.